I have known Lara Meyerratken for years and years and she has never stopped making music. 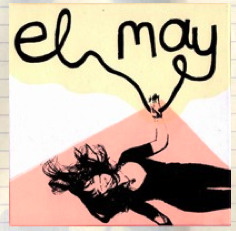 Sometimes for herself, sometimes in other bands (like Ben Lee and Luna, for example) she has been tinkling away on the keyboards and singing her heart out for as long as I’ve been aware of her existence. And now, finally, she has her own full length CD which I stumbled upon when reading her blog one night (when I should have been sleeping.) The limited edition hand screen printed version (you can order it electronically, but why would I do that when there’s actual artwork to be had?) arrived in my mailbox this weekend and it’s been on high rotation ever since. I’m terrible at describing music and have no idea why I think I can start now, but here goes… My husband says she reminds him of Suzanne Vega, which I kind of get in that the subjects of the songs are all intimate and very real, but the harmonies and the arrangements, while blissfully simple, are more lush than the Suzanne Vega that I remember. I’m thinking this music is not unrelated to the Brian Wilson aspects of the Beach Boys, but with a distinctly female and modern sensibility that is most evident when you buckle down and really listen to the lyrics. It’s kind of sun-is-streaming-through-the-window-on-a-lazy-Sunday-afternoon kind of music. To listen to some of Lara’s songs, go here. To buy the CD, go here. To read her blog, aptly titled “In Everyone, Diamonds”, go here. My husband sent me this link a little while ago, partially, I think, as a joke– though he knew it would appeal to a certain crazy paranoia I have about how much video surveillance there is of everything. But is it really crazy? Evidently, in a modern urban environment, a person is on camera 85% of the time they are out in public. Which to me is outrageous no matter how you slice it. I am clearly not alone in my distaste for this fact. 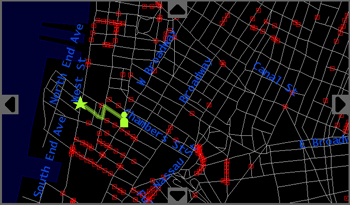 Enter the folks of iSee, a site that has plotted where the video cameras are out there (well, at least in Manhattan) and will help fellow kindred spirits to plot the route of least surveillance. All you have to do is click on the start and end points of your voyage and they will highlight the least videoed way to get there. I love the fact that there are people like this in the universe. And I also love the fact that the route I’ve been taking quite a bit recently (highlighted above), from the subway over to SoulCycle’s tribeca studio, just happens to be the least videotaped one. My husband is the real chef in the family, with a gift for just picking up random ingredients from the store and then inventing some kind of delicious restaurant caliber meal off the top of his head. I’m not bad in the kitchen, but I do require step by step instructions, even if I do riff off of them every once in a while. Tonight, however, I managed to make a delicious meal (curried tilapia and collard greens) and I figured I’d share it with you all, not least of all because the recipe comes from a brilliant website called No Take Out, that is dedicated to promoting more home cooked, healthy, family style meals. They’ve got lots of great recipes (a new one every day!) and a good percentage of them are vegetarian. The preparation is always simple and the results have never been less than delicious. Plus the most brilliant thing about them is that they give you step by step instructions to make the complete meal, from “walk in the door and put a kettle of water on to boil,” to “here you have a few minutes, go set the table and put the bread on.” Which is super helpful, as timing the various dishes is one of my weak spots when planning a meal. If you actually do what they say, you’ll end up with a perfectly timed, healthy flavorful meal. They even make wine and dessert suggestions. 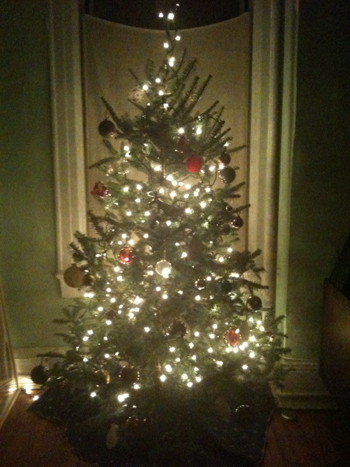 Here it is, from start to finish. Super cute, super easy, super delicious. You can even sign up for their mailing list and get the menu of the day sent right to your inbox! Peel and dice the shallots. Rinse the collard greens. Coarsely chop them. Peel the potatoes and cut each into 8 equal pieces. Peel and thinly slice the garlic. Rinse and pat dry the chives. Put the currants in a heat-proof bowl. Put the potatoes in a large saucepan and just cover with water. Add 2 tsps. salt, stir and bring to a boil over high heat. Reduce the heat to medium and cook the potatoes, partially covered, for 12 minutes. While the potatoes are cooking, pour boiling water over the currants and let them plump for 15 minutes. Put 6 tbsps. oil in the small saucepan over medium-low heat. Add the garlic and cook, stirring once in awhile until it turns pale gold, about 10 minutes. Don’t let it get too brown. Check the potatoes – they should be firm in the center but getting soft. Add the collards, cover the pot and cook for 15 minutes, checking once in awhile and stirring. Now you’ve got a minute – pour yourself a glass of wine and check your email. Melt 1 tbsp. butter in the nonstick fry pan over medium heat. Add the shallots and cook, stirring, for about 2 minutes. Add the fish fillets to the pan in one layer. Pour 1/4 cup wine around them, season with salt and pepper and cover the fry pan. Cook for about 7 minutes until the fillets are opaque. If the garlic is golden – it probably is – remove it from the heat and stir in 1/4 tsp. red pepper flakes. Drain the currants and pat them dry. When the fish is cooked, transfer it to a platter. Add 1 cup cream and the currants to the pan. Stir, and reduce the heat to low. Simmer the cream for about 3 minutes. Stir in ½ to 1 tsp. curry powder, and taste the cream. Adjust the seasoning. 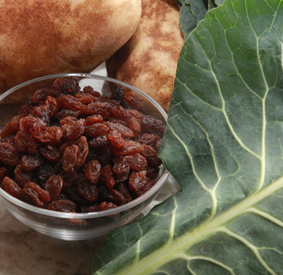 Check the potatoes and collards, they must be done by now. Remove them from the heat and put in a bowl. Pour the garlic and hot pepper oil over them, toss, season with salt and pepper, and take to the table. Put a fillet on each of four plates. Cover each fillet with sauce and sprinkle with chives. 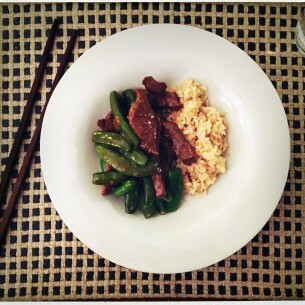 Dinner is ready. Take the plates and wine to the table! Wow that was fast, let’s eat! So I have now joined the ranks of not-enough-to-do-with-our-time parents who make their own play dough at home with their kids. But I have to admit, it was really fun and took no more than 15 minutes from the time I thought it might be a good idea to seeing those 4 balls of color on the counter. Plus I know what I put in there, which makes me less nervous when the inevitable fistfulls go hurdling towards those litle mouths! There are tons of recipes on line, but I picked this particular one because the blog entry started with the words “Finally I’ve found a playdough recipe that works!” I figured, why not just piggyback on her success, right? Recipe is below. And in the interest of full disclosure, the above photograph was shot not by me, but by our junior chef! 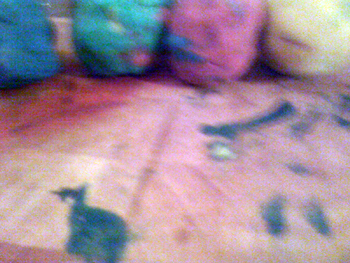 It comes from mommyfootprint.com, which I have yet to really explore, though it must have something going on– the play dough is fantastic! Here is the piece in it’s entirety… we are going to build a frame for it as well, but I’m not patient enough to wait for that to be done before I start showing this thing to the world. 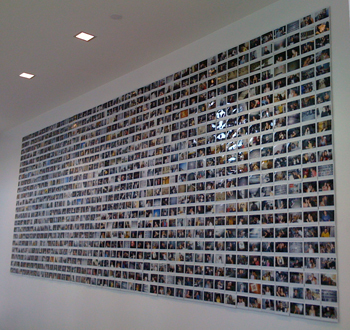 It took days to put up, as each image is affixed individually to the supporting board, but it is sooo worth it. I am really happy with the way it turned out. What is it, you ask? 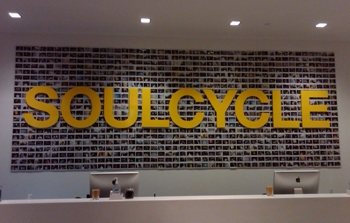 I was commissioned by soulcycle, an indoor cycling studio (yep, spinning) to make a piece that celebrated the community of incredibly happy (and in-shape) people they have built up over the past three years. As they grow from a single sweaty room on the upper west side to a 5 studio empire, it is still the extended family vibe that takes center stage. So when you walk into the newest, biggest studio at 103 Warren Street in Tribeca, you are greeted by hundreds of smiling faces which is only the beginning of what will most likely be an incredibly positive, if exhausting, experience. 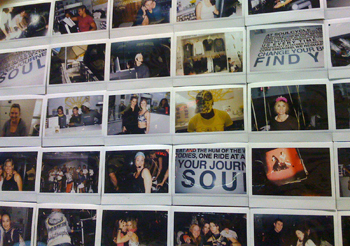 It was fun, hanging around and getting to know this world and then documenting it in my favorite format (the instant photo) I’ll be shooting more details in the next week or so, as I’ll be down there shooting a professional style photo of the piece in it’s entirety (not to diss the iphone shots, but…) For now, here’s a detail above and a view of the wall before we added the official signage. I also want to officially thank Julie Rice and Elizabeth Cutler (SC’s founders) for sponsoring the project, the almighty Amy Peck for hooking us up, and Josh Liberson, Leslie Unruh, Ed Messikian, Phil Danza, Jill Selsman and Sofia Rower, without whose very concrete assistance I would not have been able to pull this off. 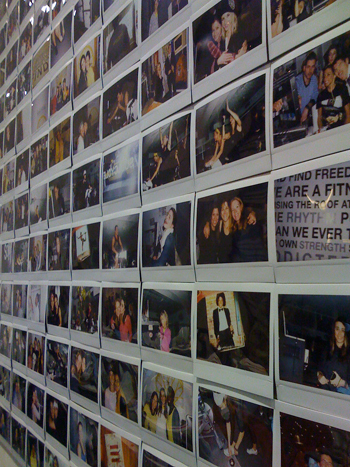 I am sorry to have been so MIA lately but I have been finishing this HUGE installation of what we like to call polaroids (but are actually Fuji instax film photos) for the brand new flagship, opening tomorrow, indoor cycling studio called soulcycle. I am so tired that I cannot even go into detail now, other than the fact that I am thrilled to have been able to orchestrate the piece and that it looks f*cking awesome. More details, photos of the piece installed, etc etc to come. Most likely over the weekend. In the meantime, it’s nice to be back with you all. 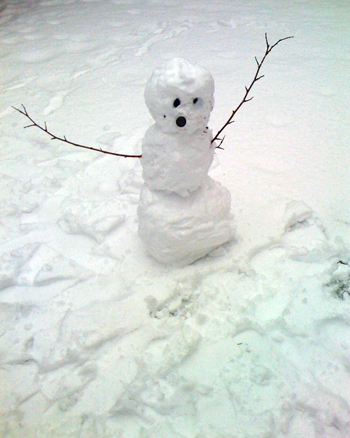 So with all good new things (2010! Woo hoo!) 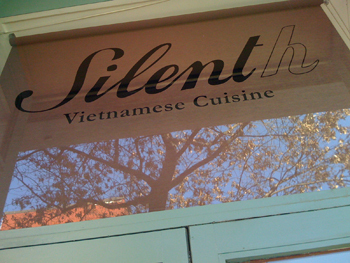 must come some sadness… My favorite neighborhood restaurant, Silent h, a brilliant delectable casual inventive take on traditional Vietnamese home cooking has closed it’s doors for good. So local that we could pretend it was an extension of our living room, so mellow that the brilliant chef/owner, Vihn Nguyan, gave my daughter the run of the place, so wonderfully delicious that nary a week went by without a lunch and/or dinner there. Revered by the grownups in the local press (and by local, I mean the NY Times, among others)…. and yet, the evil evil economic meltdown was too much for it, and a truly great eatery is no more. All is not lost, however. Vihn is hard at work with a couple of partners on a new place that will open, like a phoenix, in the same, albeit renovated, space. The type of cuisine is a closely held secret, but one who’s revelation I am eagerly anticipating. I’ll keep you all posted… The new spot is due to open in the early spring. My mouth is waterning just thinking about it. Here’s to new ventures in the new decade! Don’t let the door hit you on the way out! Not that we all didn’t have all sorts of wonderful moments during this stressful and eventful year, but man I must admit to being very excited for the better times that I am sure lie directly ahead in the form of a rosy 2010. A champagne toast to you all. I’m looking forward to showering you with all kinds of great ideas in the next year. Keep in touch! Here’s to more in 2010. So I was trolling around the Soul Cycle website and I came across this gift guide on their blog. And it’s great. 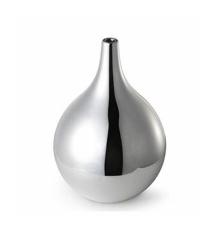 Like it features the above beautiful object that is, believe it or not, a humidifier. Go figure! And then go check this list out. Stephen Mack, the brains behind the goods, is clearly far more than just a technology consultant. 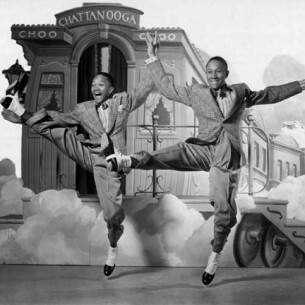 Just another example of why this particular excersize studio is attracting so much attention!